Rolling Paper Depot is the largest smoke shop on the web! We have hundreds of items at awesome prices for individual smokers, brick & mortar smoke shops, and MMJ dispensaries. If you are a patient or recreational smoker, you’ll find what you need at the right price. If you’re interested in bulk orders ($300+), please contact us for prices we can’t advertise on the web! 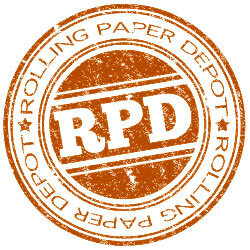 If you’re out of rolling papers, don’t worry…visit RollingPaperDepot.com and Keep Calm & Roll On.